Last week we learned that Christians will be offended, slandered, persecuted, and at times, even murdered just for being a Christian. We do not seek these hardships and pains. We do not pray for them. But inevitably, they happen to those who put their trust in Jesus. Peter teaches us that when we suffer for righteousness, our response is to bless and not curse. After Peter encourages us to have a godly posture in suffering (3:8-17) he gives us the ultimate reason to do so. Peter says, “For Christ also suffered once for sins, the righteous for the unrighteous, that he might bring us to God…” (3:18). Ever since the creation of the world, the only person through whom men and women can be saved is none other than Christ Jesus. This next section of Scripture (3:18-22), considered one of the most difficult passages in the entire New Testament, reminds us that even if our circumstances look like the days before the flood, Christ still has the victory. It is through his historical victory over sin and death that Christ saved all those who have faith in him. This gospel of salvation not only reaches forward to those who believe, but it also reached backwards to those of the Old Testament who trusted in God. From generation to generation, God has brought his people to himself. But what hope is there where hatred, malice, lust, grief, pain, and sorrow persist? What will make the overwhelming demands of the world ever come to an end? And what is the point of obedience when indifference seems far more appealing? 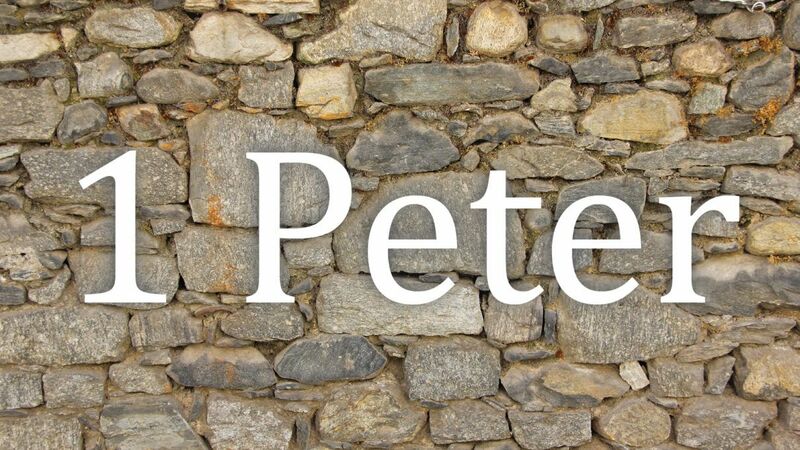 Peter reminds us that the same God who saved Noah from the torrent of sin and death is the same God who saves us. In Christ’s death and resurrection, God decisively dealt with the sins of his people and vindicated himself as the Authority over all authorities, the Power over all powers, and the Ruler over all rulers. No matter how hard the rains of the world pound us. No matter how high the floodwaters of sin engulf us. Christ reminds us that he is our safeguard, and he is our way to a safe and dry land.